The album title is an acronym of "Electric Sky Church Music", meaning electronic music to be played in an area used as an outdoor place of worship under the open sky. The US release of this album contains the "BT Puma Fila Edit" of "Love, Peace And Grease", which is shorter than the version on the UK album. On this US release Lullaby For Gaia is track 4, while the UK version features The Road To Lostwithiel as track 4. Track 10 also contains an excerpt from "Flaming June (Simon Hale's Orchestrata)" as a hidden track. "Content" actually ends at 8:50 and "Flaming June" starts at 9:50. Release comes with an 8 panel booklet. © ℗ 1997 Warner Music UK Ltd. This album was mixed on Mackie 32 by 8, and Yamaha Pro-Mix 02's. Sequenced by BT and Andy Gray on Protools with some plug-ins you won't be hearing for years. All strings recorded and arranged by Simon Hale. Actual track durations (given above) differ slightly from what's printed on release. "For promotional use only. Sale or other transfer is prohibited. Must be returned on demand of recording company." 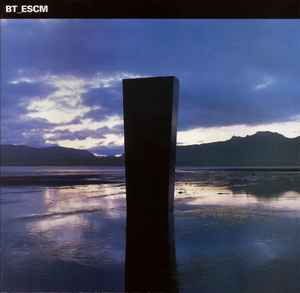 If bt’s first album was a trance classic, groundbreaking in its fusing of organic sounds with Progressive House and bt’s signature piano sound, ESCM was a conscious effort to straddle as many genres as possible over the course of 10 tracks. Obviously Flaming June is regarded as a classic but it’s b side Orbitus Terranium was a far more interesting breakbeat monster that genuinely sounded fresh and exciting. Other tracks like Remember and Road to Losthwithiel are pleasant enough, but all too often it sounds like a precocious talent unbridled by genre constraints and perhaps the complete faith of Perfecto allowed him creative freedom that he didn’t have previously. The result is a tendency to overcook everything when a bit of restraint may have improved the finished product enormously. While you can’t fault the production, the enthusiasm or even the PMA, it all does start to sound like a child on a sugar rush. BT's second album (ESCM) is easily his best album of all time. An acronym for Electric Sky Church Music, this is the only music I've ever heard that has managed to successfully convey the feeling of being in nature and getting that "big sky" feeling. Definitely a must-have album. After this album he drifted into the whole "guest rappers rapping over his music" thing and made everything sound as commercial as it could. I'd recommend avoiding this period (Movement In Still Life, Emotional Technology, This Binary Universe, These Hopeful Machines). The only good part of it was the Dreaming single/remix ep. After that period he made the album "If The Stars Are Eternal So Are You And I" which is about the only thing he's done that came close to ESCM, but after that he went into really really cliched sounding dubstep (the kind where every instrument is an annoying alarm sound). To be fair "If The Stars..." had 1 minute of dubstep mixed into the ending of one of the slow ambient songs and fans responded positively to it, so I can see why he would think people would like an album of dubstep from him. The truth is it was actually the juxtposition that people liked (playing slow stark sounding ambient for 9 minutes and then building towards a climax that manifested itself as over the top dubstep insanity). BT just playing dubstep on it's own sounds cliched, boring, and rather like Homer Simpson's first webpage ("you'd think all the noises would be annoying but they're not"). I should probably include his first album ("Ima") in the list of BT albums worth getting. It's not as good as ESCM but it's at least in a similar direction. It's still got that pre-commercial sound. I bought the album for Flaming June and Remember. Flaming June is crisp, clear, and mistakeless. Remember has vocals that are charming, but with excessive flair by Jan Johnston. Bad vocalists are easy to catch because of the way they are always flat or never on time in catching up with the melody. Content, however is the hidden gem on this album, not because it is produced perfectly or because it is eccentric, but because it reveals BT's capabilities without him showing off or adjusting to the norm. The classical background is blatantly evident in the progression of piano chords, and his learning of digital music production is just right as he shows only what he has learned. Flaming June does too much by being a perfect dream trance tune while being forced into a mediocre jungle track. Remember is quite memorable, but once you see the music video that is on the EP, it will make you gag. He is head over heels for mainstream success. Superb, so superb. From the opening sweep of "Firewater", which see-saws from king-sized breakbeats into acoustic guitar strummings and violins, to the punch of "Content", a charging rhythm wrapped around a heady piano hook, this disc bristles with imagination and musical boldness. BT's production is among the most impeccable I've ever heard; this album is a crystal-clear trip that brims with emotion. I was just moved to tears when I first heard it, not knowing that music could paint such vivid, epic scenery. Although not all the ideas here have aged well, his impeccable production skill carries the album. I know that's a bit like loving the meal because it was served on a pretty plate, but the fact remains that this is one of the albums I'll take to my grave.